A Q&A with Bean Box co-founder and CEO Matthew Berk. The Seattle-based subscription coffee service launched in the U.S. earlier this month. It was developed by app maker Lucky Oyster, and the team has raised just north of $1 million in Angel funding for Bean Box to this point. SUB: Please describe Bean Box and your primary innovation. Berk: Bean Box is a monthly coffee discovery service for coffee lovers. 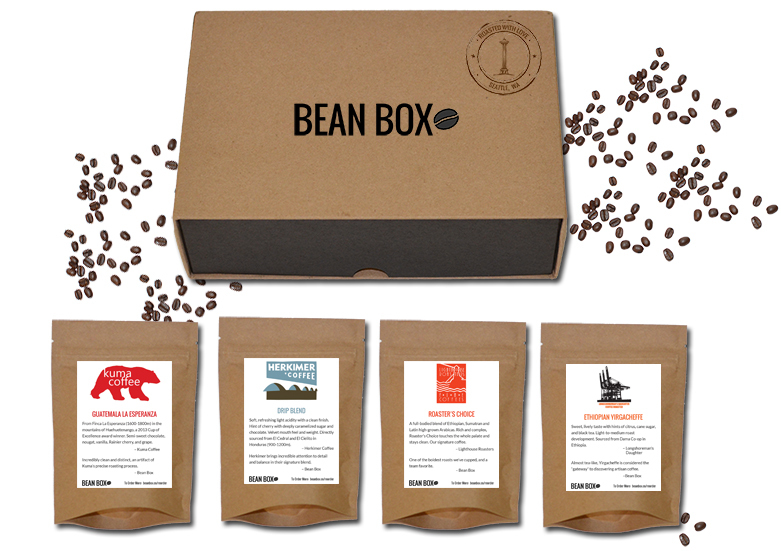 Each month, Bean Box hand picks four roasts in 1.7 ounce sample sizes from premium, independent roasters in Seattle, such as Kuma, Herkimer, Lighthouse, and others, and ships them to members within a day of roasting. Members enjoy unique and fresh new roasts, along with accompanying tasting notes, and can seamlessly reorder larger quantities of their favorite variety. We’re innovating the coffee discovery experience. Specifically, we believe that everyone should have access to freshly roasted coffee from world-renowned roasters, and that you don’t have to be a coffee techie to appreciate the experience. Our innovation is to help people develop their palates and discover great new coffees, and to give them access to the best Seattle coffees right in their own morning cup. Berk: Our target markets track two key trends. First, consumers who are developing their palates. Increasingly, in an age where consumers are more-and-more aware of how supply chains bean on quality, widely-available ‘coffee drink’ that’s usually stale and baked and pumped full of milk, sugar, and flavor shots just won’t cut it. Even the larger coffee chains have acknowledged this by starting to introduce more ‘exclusive’ lines of micro-batch roasted single origin coffees. Secondly, we all want convenience, especially when it comes to discovering great new tastes. There’s no reason to buy large bags of beans just to try an Ethiopian coffee, nor should consumers have to travel to Seattle or bounce from cafe to cafe to discover what they love. Our base, thus far, consists of both coffee lovers subscribing for themselves as a convenience as well as people giving Bean Box as a gift to those they perceive as coffee lovers. Our early data suggest the booming specialty coffee market is not just a Seattle phenomenon; we shipped Bean Boxes to 34 states in our first 30 days of operation. SUB: Who do you consider to be your competition, and what differentiates Bean Box from the competition? Berk: We are building a coffee discovery service, and our two key advantages over competition in the space are that we are focused on Seattle roasters—the most active specialty roasting market in the U.S.—and fresh delivery. Our proximity to 20-plus great roasters, all within a few miles of our office, means we can have coffee en route to customers within a day of roasting. There’s no double shipping from roaster to warehouse to customer, and unlike other competitors, we believe two-week old beans aren’t in fact fresh. SUB: You just announced your official launch out of beta. Why was this the right time to launch? Berk: In a startup, you look for a good product/market fit. The response we’ve had thus far has been amazing—people taking pictures of their Bean Box and sharing them on Facebook, Twitter, and Instagram; personal notes thanking us for putting together a taste of real Seattle coffee; and a real demand for the product we’re just seeing the very start of. The Seattle roaster community has also been amazing to work with; they are collectively excited about the idea of sharing local coffee innovation with a much broader audience. Berk: We’ve raised $1.25 million to date from Angels. SUB: What was the inspiration behind the idea for Bean Box? Was there an ‘aha’ moment, or was the idea more gradual in developing? 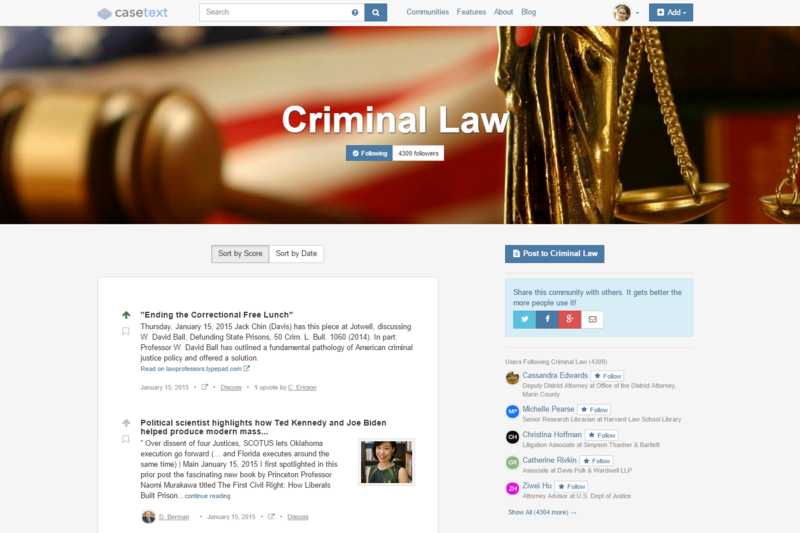 Berk: When Ryan, my co-founder, and I started working together about two years ago, our vision was to help people discover great new experiences through mobile, social, and search applications based on recommendation exchange. Classic consumer software. In our efforts to refine our products and grow our user base, our usage data showed that our users were incredibly passionate when it came to coffee recommendations: Best local cafes, high-end roasters, specific brands, and best equipment. We also realized that we had spent countless hours interviewing customers in coffee shops, bonding over the coffee we shared while chatting about recommendation exchange. And on many days, we’d literally walk out with bags of freshly roasted coffee to send to family back east. With all the caffeine in the air, as is common in engineering culture and startups, we started to look into why coffee culture, even in the caffeine capital of the U.S., is still largely about proximity and convenience rather than the passion people express for it. We quickly discovered that there is a great opportunity to help people discover great new experiences in their morning cup. Berk: Our first steps in testing Bean Box were to talk to as many people as we could about their coffee buying and drinking habits. We were specifically looking to understand what experiences were the most emotionally resonant for them. Then we designed a product we thought would specifically speak to people’s desire for a great coffee experience, and started to test demand. Berk: The brand voice we’re working hard to develop is all about making a great, fresh coffee experience something that’s accessible—to help folks who would ordinarily not think of themselves as ‘coffee geeks’ start to expand their palate. In everything from our tasting notes to the copy on the site, we try to simplify things and make them accessible. The name ‘Bean Box’ is a literal description for what we’re bringing to the customer—we let the coffees themselves convey their own complexity and subtlety, and we let our customers make their own interpretations of what they taste. The product and its voice need to be simple and get out of the way, and let the experience speak for itself. Berk: When we started, we made a very explicit decision not to feature only specific roasters for all customers in a given month. Instead, every time we ship Bean Boxes, we’re coordinating with all our roaster partners to have freshly roasted coffee on hand. That leads to some complexity in fulfillment, but it’s manageable. Most important, it allows us to have a strong, ongoing relationship with our partners. The other challenge we’ve had is that some people continue to see coffee as a simple commodity, where price is the sole driver of a purchase decision. Our price is incredibly reasonable, especially when compared to what folks spend when they walk into a large coffee chain, but our focus is not to help supply more coffee to people at a low cost; it’s to help them have an amazing experience and discover something new about their tastes and about the world of coffee. Berk: Bean Box costs $20 per month. Members also have the ability to purchase full size bags of the coffee they love in their Bean Box as part of our reorder service. We also offer corporate gift packages and employee perk programs. SUB: What are your goals for Bean Box over the next year or so? Berk: Having found the start of a great product/market fit, we’re focused on scaling the business, and taking every opportunity, along the way, of making Bean Box even more of a product customers will rave about.